This year, twice as many participants took part in the event compared with the previous year. 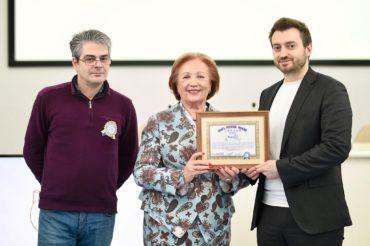 The event was supported by Shostka and Kyiv residents, Farmak staff, members of the Ukrainian Football Association of Physicians (UFAP). About 600 people altogether took part in the event. Its special guest was Vlad Yama – a famous dancer and TV host. Everyone interested ran 2 kilometers promoting a healthy lifestyle. Ivan Pate, the oldest member of the race, is 80 years old. He took part in 7 marathons of the world. The race took part in accordance with global rules. Judges of the international category used an electronic system to record the results: photo finish. 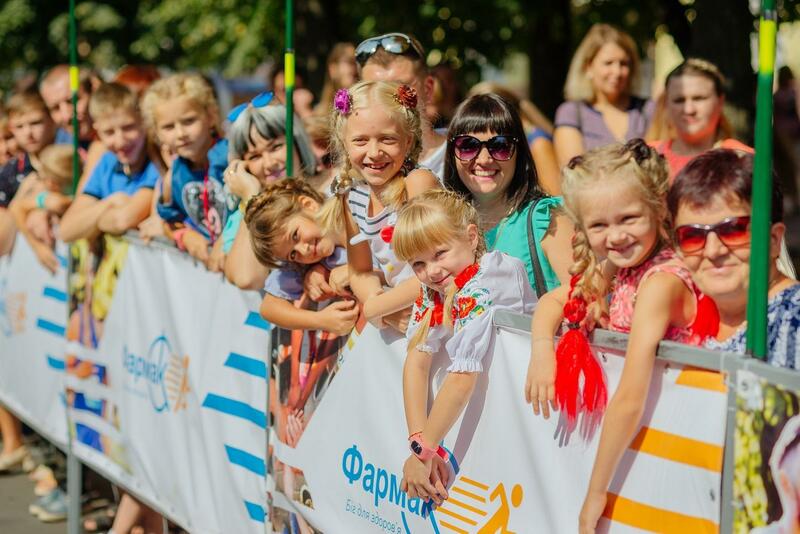 “This event was held by Farmak with support of Shostka Town Council for the second time already to bring people together in their desire to lead a healthy lifestyle; to set an example to children. We all want health to ourselves, our friends and relatives. We want a healthy city, a healthy country. After all, it is a sporty and thus healthy nation that can lead our country to the top of development and prosperity. We understand that everything is in our hands. We are responsible for our lives and health. We are very pleased that sport today is already a fashionable trend. Going to or from work, every time I see fine, trained people who take care of their health, work out and by their example show that sport is cool. Sport improves the quality of everyone’s life. For us as the pharmaceutical company, the issue of quality is top priority. Last year, Farmak promised that Vlad Yama would take part in the next run. So he was the one who hosted the event, because Farmak always fulfills its promises”, said Pavlo Pavlyk, Chief Operations Officer of Farmak JSC. “This sports initiative by Farmak is extremely important. 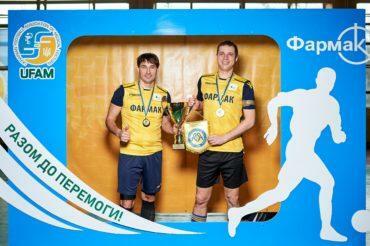 It is necessary to involve Ukrainians in sports, social projects, because this means development of our country. I hope that other companies will also take part in such projects, not only in Kyiv, but also in the regions”, noted Vlad Yama. Ruslan Krasovskyi finished first among men. According to him, a 2-km race is as difficult, as 42.195-km one. “The main thing here is to correctly estimate your capacity and not to force events. I cannot say that the race was easy; the distance has its specifics, it is one of the most difficult in athletics. One needs to be able to run it correctly and train accordingly”, said Ruslan Krasovskyi. 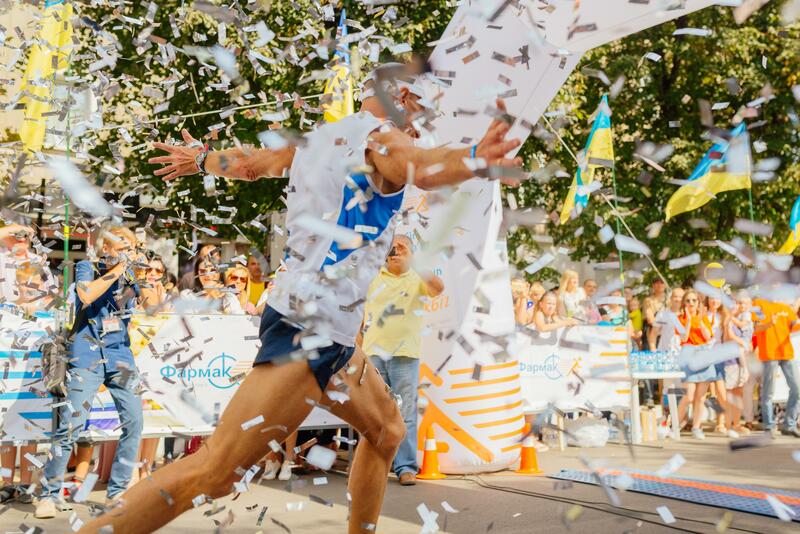 Volodymyr Goncharov was the second to cross the finish line and Maksym Kryvonos – the third. 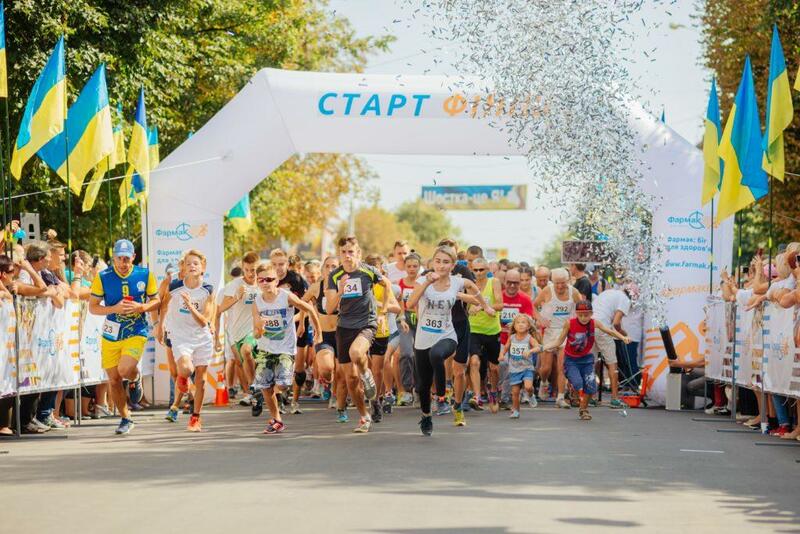 Among women, the winners were Anastasia Kompaniyets, Anastasia Potetnia and Daria Shyman. 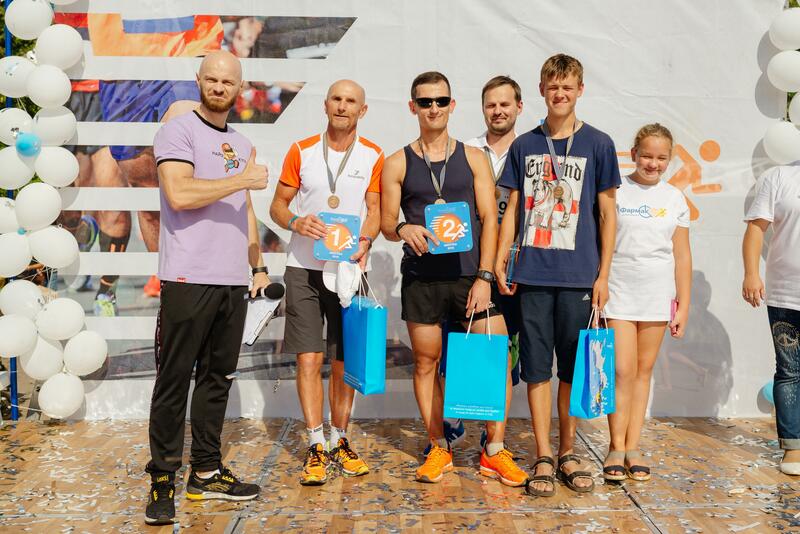 The winners of the race received valuable prizes. In addition, each participant received a medal and a certificate with their score.